The bone saw machine is composed of a frame, a motor, a circular saw, a translation table and an electric control working board. It is suitable for all kinds of small and medium-sized animal bones, frozen meat, fish bone, frozen fish and ice processing equipment. 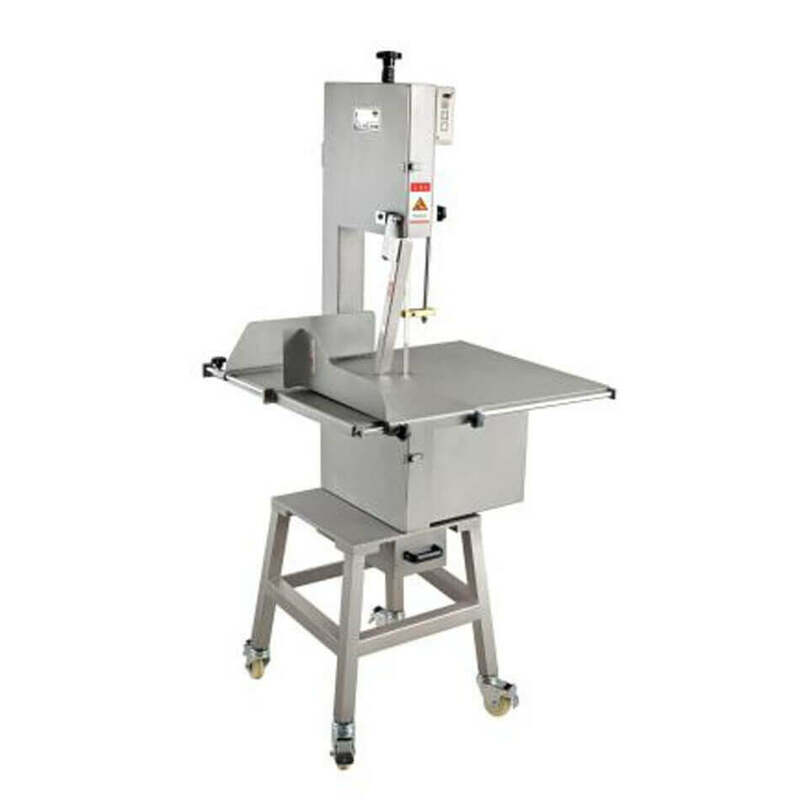 Flat body design, stainless steel sealing plate, food hygiene and easy to clean; stainless steel door, special surface treatment, easy to clean and maintain; saw with pressure tensioning device, easy to install and adjust the saw band; Saw bone machine, the saw band will not move when sawing. The thickness adjustment plate is reinforced to facilitate the adjustment of the processing thickness, and it will not shake when moving. It is equipped with a safety bar design to improve work safety. The machine is waterproof and easy. Cleaning, safety and health. High horsepower. It has the advantages of compact structure, beautiful appearance, simple operation, high efficiency, power consumption, easy cleaning and maintenance, and good sawing effect. Applicable to all kinds of small and medium-sized animal bones, frozen meat, fish bones, frozen fish, ice processing. Used for cutting small pieces of frozen meat and ribs. It is widely used in large centralized food processing plants, slaughterhouses, meat processing plants and other places.